Learn all about the good documentation practice including basics, GMP document preparation, issuance and retrieval of records, recording of time, correction of entries, handling of missing entries, blank space and cancellation of GMP records. Good documentation practice GDP is a systematic procedure of preparation, reviewing, approving, issuing, recording, storing and archival of any document. As per GMP documentation control "If it is not written down, then it did not happen". The document provides information on when, where, who, why and how to complete the task. The document provides evidence proving that the tasks have been completed as they should be. 1. Always record the entries at the time of activity simultaneously. 2. Always record date with the signature in GMP records. 3. Always use an indelible ballpoint pen to record data in GMP records. 4. Always enter the data directly into the GMP records in the English language. 5. Never use a pencil or erasable or water-soluble ink pen to complete the GMP records. 6. Never use white ink or correction fluid to correct the entry in GMP records. 7. Never sign for someone else on any document. Only sign for the work that you have performed yourself. 8. Never backdate GMP records. 9. Never discard original raw data of any kind. 10. Never use scratch papers, loose papers or “post it” to record the data. 11. Never discard or destroy any GMP record unless retention period expiry is reached. 12. Documentation and records used throughout the manufacturing process, as well as supporting processes, must meet the basic requirement of GDP. Below mentioned requirements should be applied to all the GMP documentation within the GMP environment. ● All documents must be accurate and written in a manner that prevents errors and ensures consistency. ● If documents are to be used together, e.g. a SOP and a form, then each should reference the other. ● Ensure there is traceability between two or more documents/records using formal document numbers or record identification. ● All records must be filled out in indelible BLACK or BLUE ballpoint pen for long-term legibility. ● Do not use pencil or ink that can be erased. ● A document is unusable if it cannot be read, so care must be taken to ensure that handwriting is legible. All entries must be made at the time the tasks are performed and should be legibly signed and dated. ● The same is true for electronic documents and records – language should be clear and unambiguous. 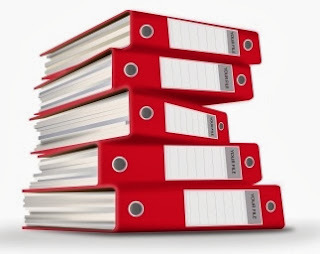 ● To ensure that the information is correct and accurate, documents and records should be reviewed by someone who has performed the task and has the proper knowledge. A signature and date by the reviewer/approver confirm that a review has taken place. ● Handwritten signatures must be unique to the individual and listed within the signature register to ensure that the signature is traceable to the concerned employee (or contractor). ● Any employee should not be permitted to sign for another member of staff unless delegated. Signatures must never be forged. ● The management of the signature record should be governed by a procedure and routinely reviewed so that it remains current – the new employee should sign the signature register during induction, the signature register must indicate the date employee exit. 1. Clear and concise titles should be used for headings, tables, graphs, etc. 2. Pages in the master document should be numbered as X of Y. 3. Full-text spelling with the abbreviation in brackets should be used for the first time. The abbreviation may be used in place of full-text spelling in the remainder of the document. 4. All documents should have the signature and date of the person who prepared the document, reviewed the document and approved the document. 5. All master documents should have an effective date, approval date, and current version number. 6. Respective SOPs should be followed while preparing the documents. 7. Words that everyone can understand should be used. Unfamiliar words reduce the reader’s understanding of what is written. Definitions of abbreviations should always be included in the document for reference. This is most effectively done by including the definitions in a table format, at the start or end of the document. 8. Ensure that the contents of the document are not squeezed into a smaller area just to limit page numbers. Documents with small margins and no spaces between paragraphs and headings can be difficult to look at, hard and slower to read. Space the contents out so that the type/font is easy to read for all users. 9. When creating a document, consider the context in which the document may be used in the future and whether the reader has enough background information. 10 People remember information best when there is a strong visual prompt, such as a diagram. When the document has to be lengthy, consider using tables to structure the information for the easy understanding of the reader. 11. Training of the document should be planned only after approval of the document and shall be completed before the effective date. 1. All the forms associated with the activity should be part of respective SOPs. 2. QA maintains the list of GMP impacting forms and its associated SOP. 3. Records for issuance and retrieval of such forms should be maintained. 1. Time should be entered in 24:00-hour cycle. Record the time in HH: MM format. For Example 11:05 AM should be written as 11:05 and 11:05 PM should be written as 23:05. 2. The date should be entered in DD.MM.YY format. For example, 27th July 2013 should be written as 27.07.13. Place “0” before the digit if the digit is less than 10 for the recording of date. 1. Date and time should be recorded in GMP records as mentioned above. 2. Data should be recorded only in the format duly issued and approved by Quality Assurance. 3. Entries in the logbooks should be made in chronological order. Entries should never be pre-completed. 4. Data recording should be done by trained and authorized personnel. 5. Data should be recorded as it is displayed on the respective equipment panel. 6. Unusual observation during the activity should be recorded, signed and dated. Same should be reported to area person-in-charge and QA. 7. If any observation/signature/date are to be repeated, the same should be rewritten. Ditto (----“---) marking or “as above” or “do” should not be used. 8. Manual entries should be reviewed and signed by the second person for accuracy and completeness. 9. Raw data/printouts generated during the activity should be signed at the left bottom with the date and should be attached to relevant records. Printouts made on the thermal paper should be photocopied. Thermal paper copy along with photocopy should be attached to the concerned record. 1. Incorrect entries in GMP records should not be overwritten or blocked to make it unreadable. Always use a single strike outline (For example Incorrect Entry) to mark the incorrect entry in such a manner that entry remains readable. 2. Correct entry should be written near to the strikeout entry. Person correcting the entry should put the initial signature and date along with the corrected entry. Only the person who made the original entry and strikethrough should make the correction. If this is not possible, notify QA. 3. The reason for correcting the entry should also be documented on the record. In the case of space constraint in the document, the reason for correction should be mentioned in the footer of the record with (*) sign. 1. Entries in the GMP records should be done contemporaneously with the activity. However, the procedure mentioned below should be followed in the exceptional case of missing entry in GMP records. 3. In such a case, an entry should be made with a clear indication of the date when the activity was performed and the date the activity is recorded in the document. 4. Document the explanation to substantiate the entry and the reason for the delay in recording. 5. Missing entry in the GMP records for non-retrieval data should be handled through event investigation procedure (For example, operator missed the reading of drying temperature during the operation, where there is no automatic data recording mechanism in place). Blank/Unused space in the GMP records should be strikeout as below with single line with sign and date to ensure that record cannot be added at a later date. Cancellation of GMP records should only be allowed in the rare case with the approval of QA and in exceptional cases such as spillage of chemical on the record. Event investigation procedure should be followed to determine further course of action. The reason for cancellation should be documented for cancellation of the document and signed by area person-in-charge and QA. What about the digitalization of SOPs and records following a ZERO PAPER policy? In case we generate records only with an IT system is it mandatory to keep the raw data if we keep a scanned copy?